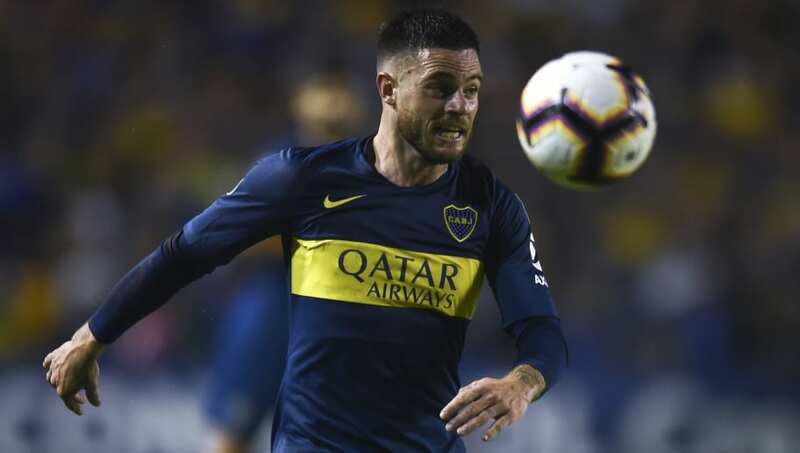 Leeds are among a number of teams tracking Boca Juniors star and Uruguay international Nahitan Nandez ahead of a potential summer move. Marcelo Bielsa's Leeds have been one of the success stories of the Championship this season and the Argentine tactician already has an eye on his native market as he plans for a potentially exciting summer of deals. According to Tuttomercatoweb, Bielsa is not alone in his admiration of Nandez, and Leeds could face competition from Serie A trio Fiorentina, Cagliari and Sampdoria. South American stars often move to Italy but league position could also prove a definitive factor if Leeds secure promotion to the Premier League. League leaders Norwich have a four-point advantage on second place but just a point separates Sheffield United and Leeds with eight games remaining. That final position will have a huge say in Leeds' appeal and transfer funds in the summer but for now, Bielsa is targeting some audacious moves. The 23-year-old Nandez is a Uruguay international and played every game at the summer World Cup, helping his side to the quarter finals before they fell to eventual winners France. Nandez was also a regular starter in the Boca Juniors midfield as they won the Argentine Primera Division last season. The combative star earned particular praise for his starring role in Uruguay's win over Portugal at the World Cup and could add some much-needed mettle to Bielsa's side. Leeds have been criticised for having a 'soft underbelly' which could prove crucial if the Whites find themselves in the Premier League next season. Leeds are one of the favourites to secure promotion to the Premier League this season after spending the majority of the campaign in the automatic promotion places. A recent defeat to promotion rivals Sheffield United saw the Blades leapfrog Leeds into second place but the competition remains on for a tense climax to the campaign.